Tours of the facility are available for all ages. Students and teachers are particularly encouraged. Please contact the FTBF coordinator if you are interested in such an opportunity. 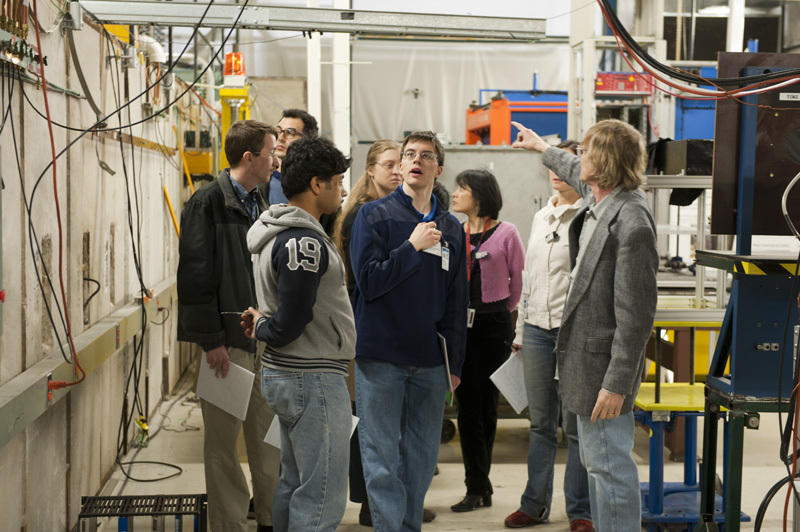 For more information on visiting Fermilab, including visiting hours, follow this link http://www.fnal.gov/pub/visiting/hours/index.html. Fermilab logo items, mugs, t-shirts, sweatshirts and posters are for sale online or at the Lederman Science Center, open Mon. – Fri. 8:30 am – 4:30 pm and on Sat. from 9:00 am to 3:00 pm.